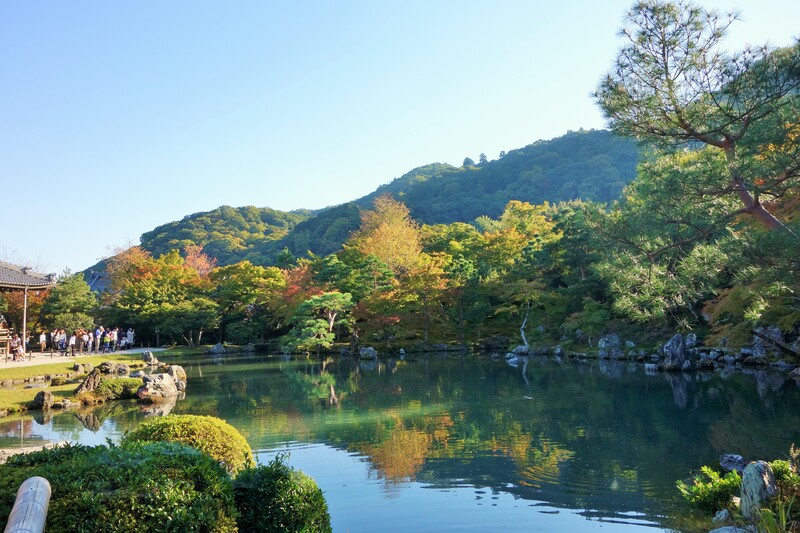 Located on the Western outskirts of Kyoto, Arashiyama is a beautiful scenic area, with some cute and inviting shops and restaurants, the magnificent Bamboo Groves and the ornate Path of Kimonos. Apparently there is also a romantic train, but needless to say my best friend and I were not particularly interested in that! 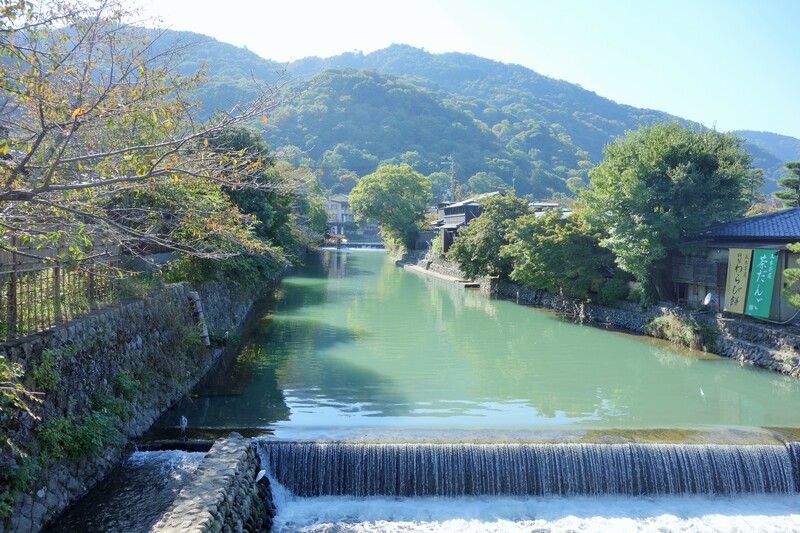 From what is written on paper, Arashiyama seems like the perfect tourist destination but what really elevates it from just another attraction to something really charming is the ambience; amongst the sea of tourists are a good number of locals with ready smiles on their faces. School children weave in between us at the end of their day, queuing for street food and chatting animatedly. And any right turn from the main stretch leads to the more residential areas lined with houses (some of which have the most beautiful front gardens- there is a sense of pride in the way the owners are treating where they live). 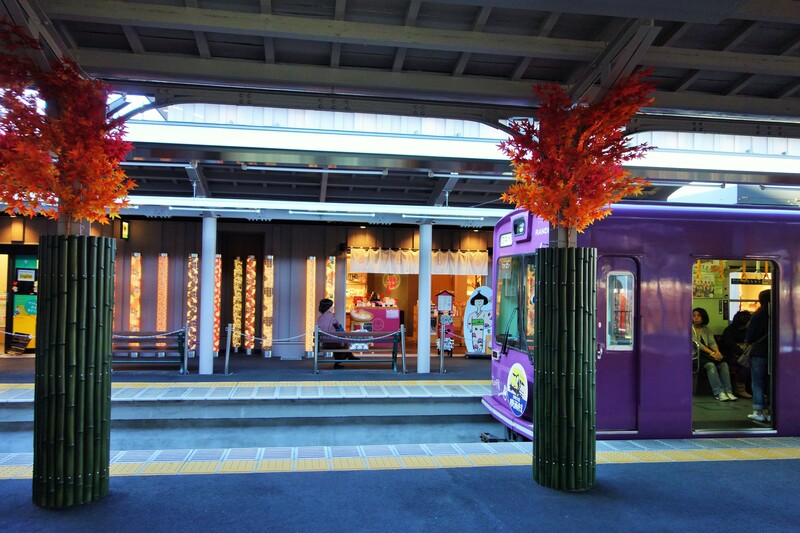 We then got the Hankyu Arashiyama line to Arashiyama itself (note that there are multiple ways to get here, you can also take the a line to a different Arashiyama station, nearer to the Bamboo Path). 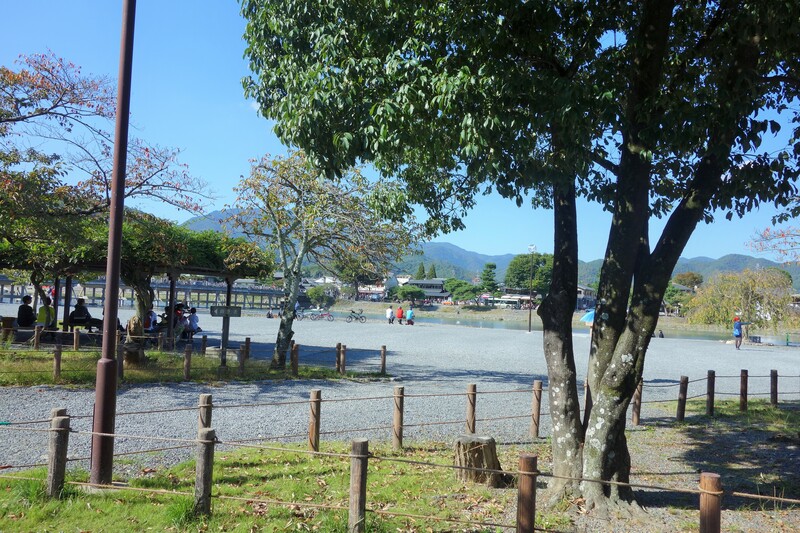 Where we disembarked, we were only 5 minutes walk from the park and we greeted by bright sunshine and blue skies. So after removing the thick jacket and the thinner jacket I’d worn after a cold start that morning, we trundled merrily towards the park (I’ve no idea why I’ve used the word trundled, I think I just like how it rolls off the tongue). 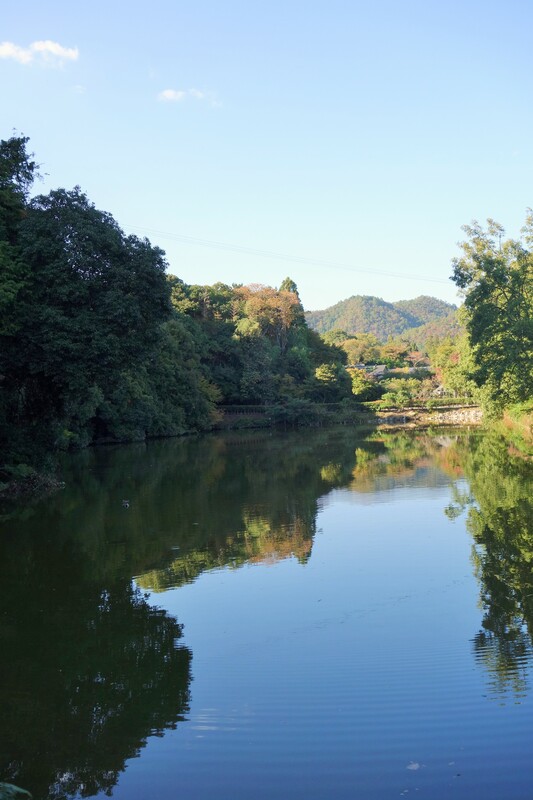 Walking through the park was a joy; the Oi River glistened from afar, many people were out and about, basking in the sunshine and Mount Arash was standing dominant in the background. 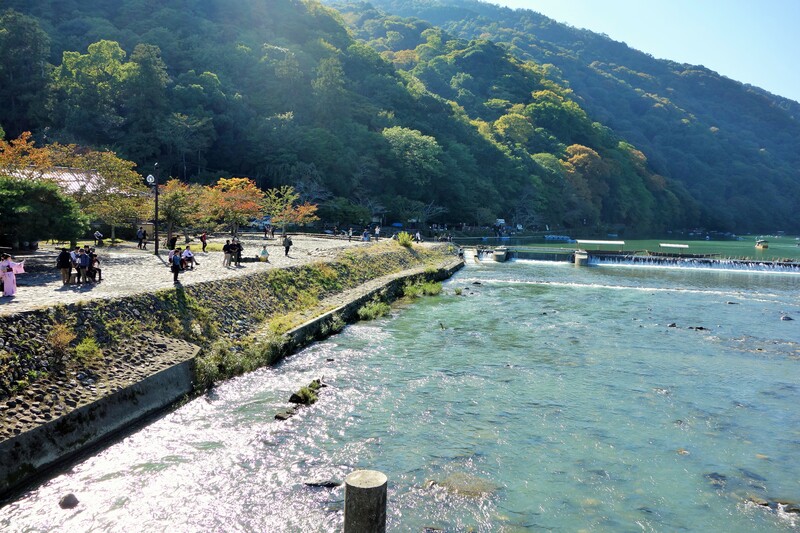 We crossed a bridge (allowing for both cars and pedestrians) to reach the other side of the river, where the main Arashiyama café/shop promenade was present. We found the Bamboo Path very quickly, owing to my friend recognising the Mandarin character for Bamboo (apparently the same or similar to the Japanese one) and following the relevant signs. 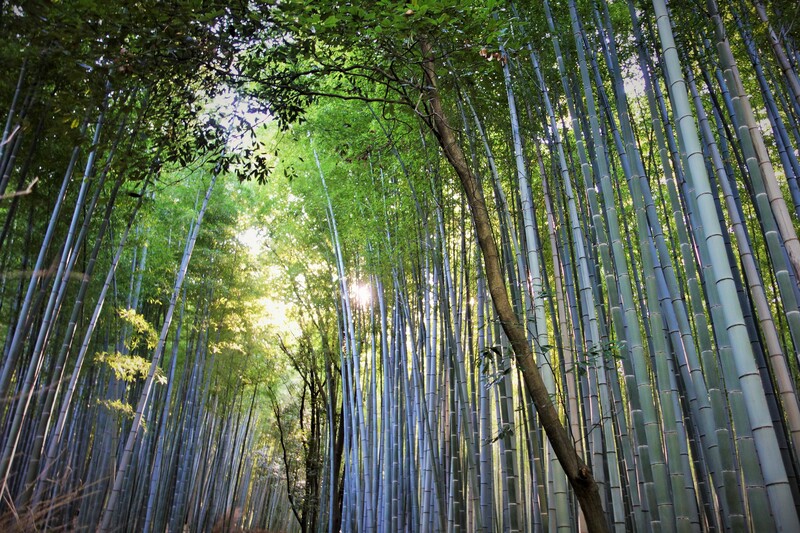 Though busy (as was to be expected) the bamboos were abundant and spectacular. 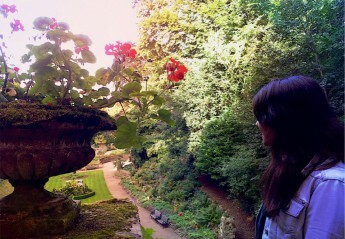 Walking through the path, with the light peeping through the tall stalks and emerald leaves, was beautiful. 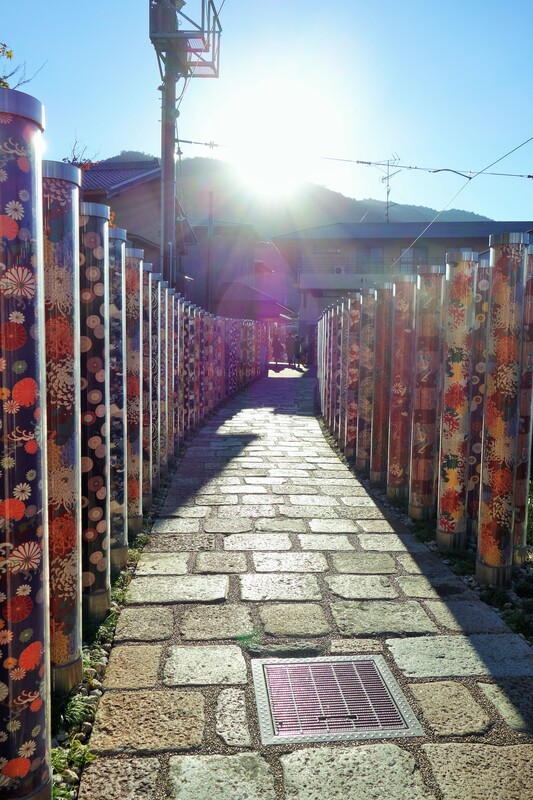 Note that everything in Arashiyama shuts down by 4.30/5pm. 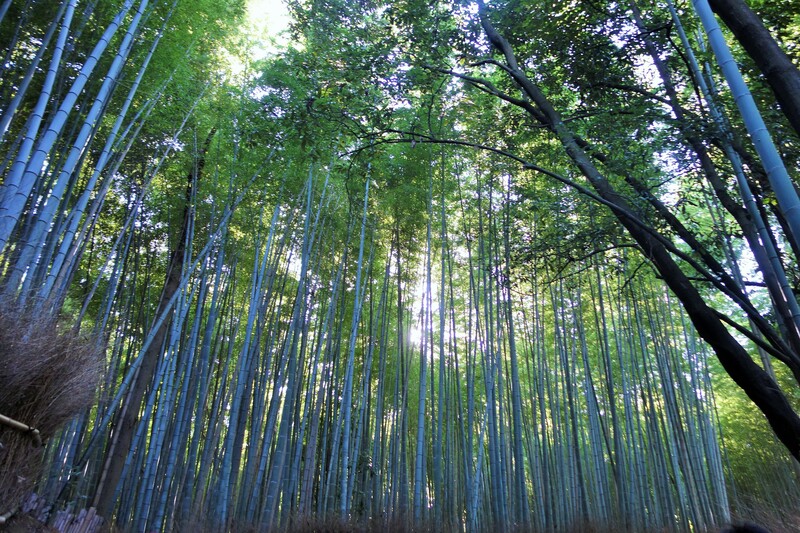 I felt it prudent to mention this at this point because we planned to return to the Bamboo Path later on, when it had quietened down, but when we returned, it was pitch black and the central Arashiyama area was virtually empty. We therefore decided to head back to the train station instead. 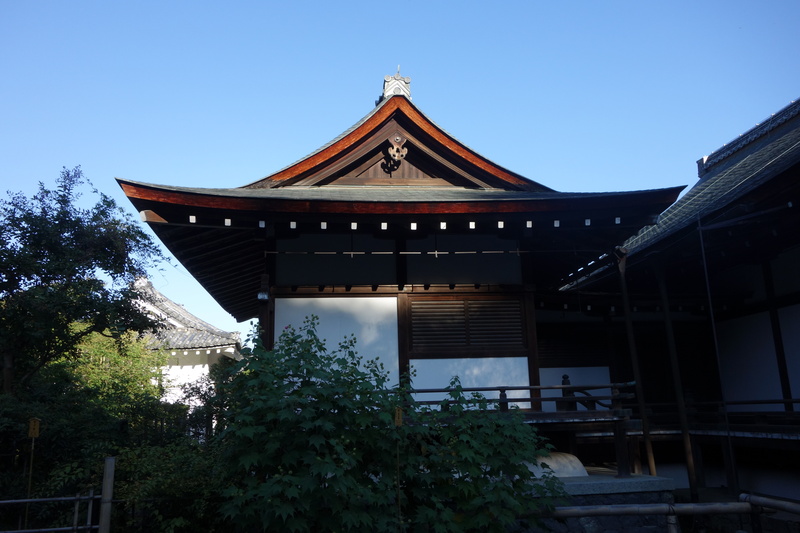 But I digress, back to the path- we passed a temple called the Tenryu-ji temple (which translates to the Sky Dragon temple) and my friend said that this sounded promising. 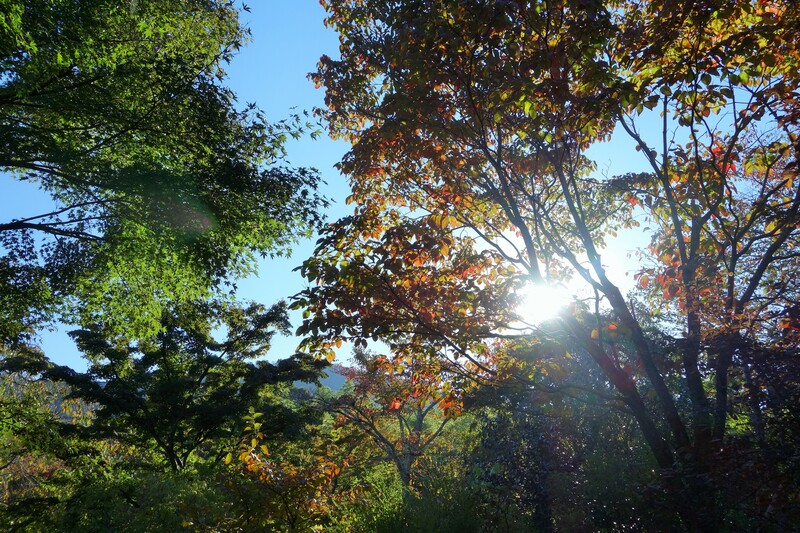 So once we completed the Bamboo Path (and came across a beautiful and largely ignored landscape a bit further down from the path) we doubled back on ourselves and entered the temple gardens. 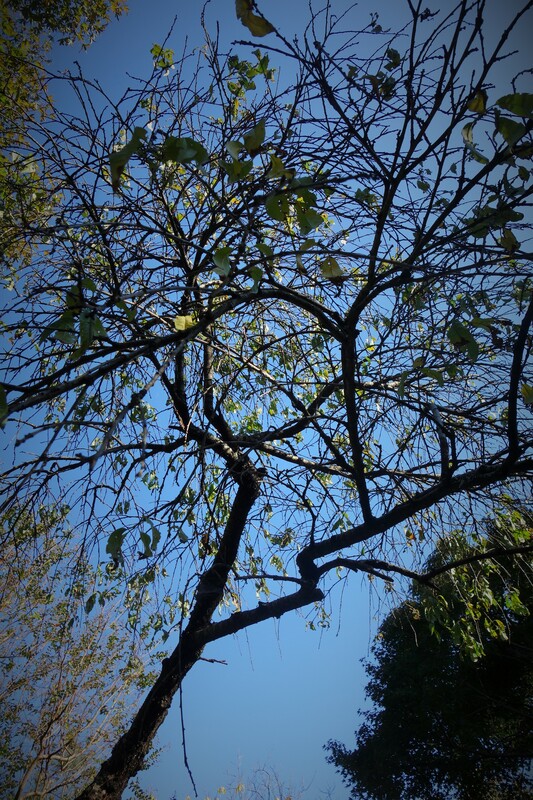 The gardens were pretty- full of a variety of trees (all with Wooden name plaques informing the visitor of breed) but did pale into comparison when thinking about Zenrin-ji Temple (see the Finding #Zen-rinji blog post for more information). 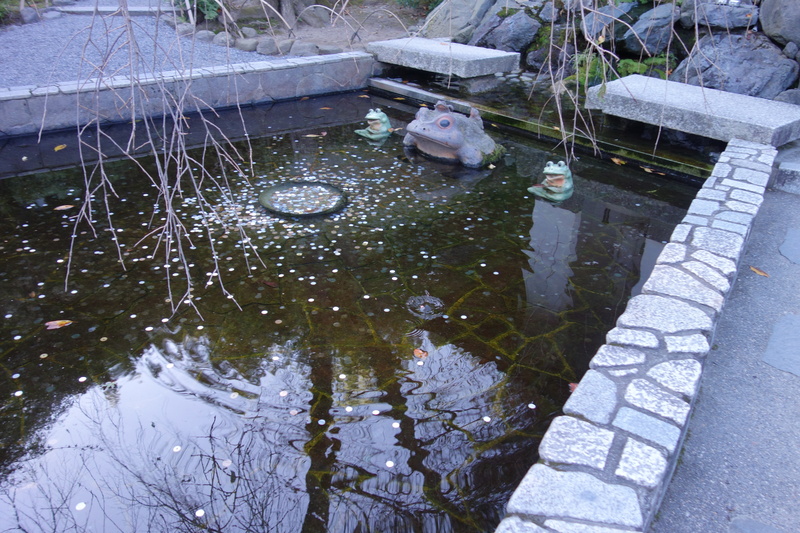 Nonetheless, we found a very charming wishing pond full of coins and decorated with stone frogs, and right by the temple building, a large lake landscape which was gorgeous (and provided absolute justification as to why Tenryu-ji gardens are a world heritage site). 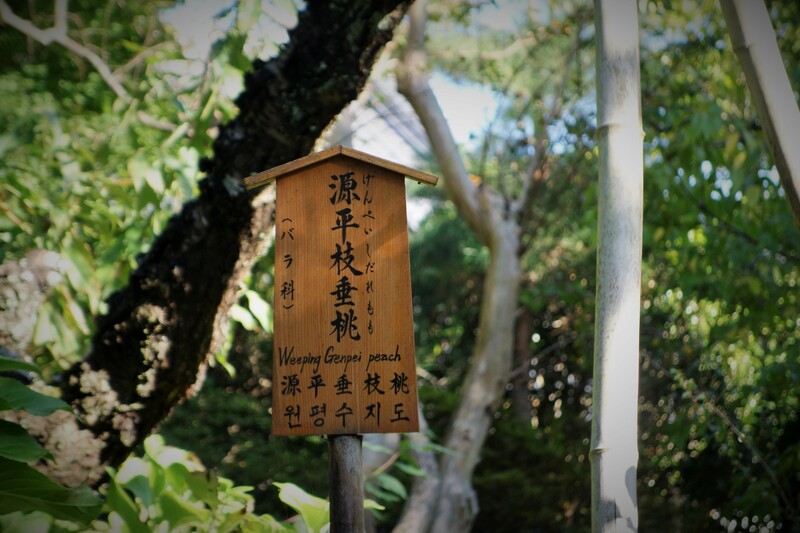 There are two slightly cheeky things about the attraction to note; Firstly, it costs 500 yen to enter the gardens and an extra 100 yen for the temple (which you have to pay separately). You can see into the temple from when you are viewing the lake, and since the temple itself wasn’t world heritage (just the gardens were) we decided against this (being the budget travellers that we are). Secondly, this was the only place I found that was charging 100 yen for toilet roll (that’s why tissues in a rucksack/handbag are such an important tool). With the amount of tourism the temple was getting, I felt this charge was a bit unnecessary. 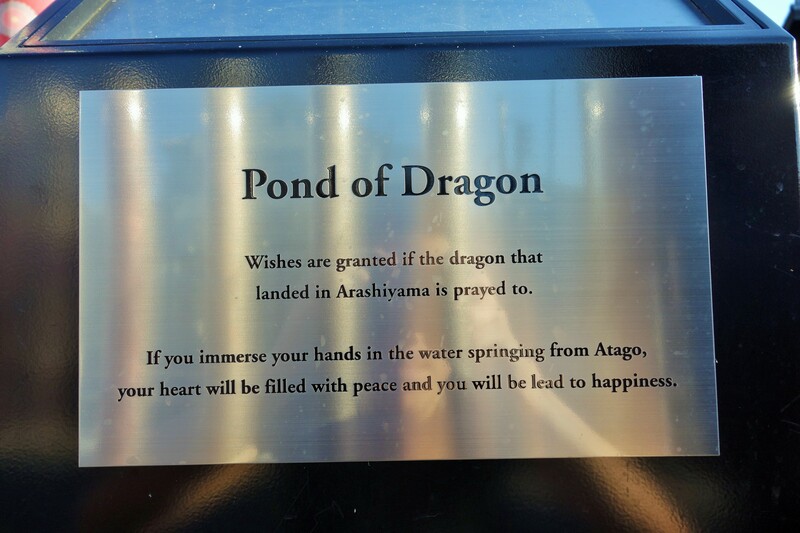 “Wishes are granted if the dragon that landed in Arashiyama is prayed to. If you immerse your hands in the water springing from Atago, your heart will be filled with peace and you will be lead to happiness”. So I did (being the superstitious type that I am, but also because I thought the sentiment of the water feature was nice) while my friend amusedly abstained. We got hungry so I hunted for something to eat and… I failed (as was the norm in Japan at times). But my friend had a meat filled steamed bun, which he enjoyed, and I was in too good spirits to let the lack of vegetarian food get my mood down. I loved this post! Sounds like you had a truly wondrous time! My travel companion- ladies and gentleman.